What a beautiful couple! Stage stars Stephanie J. 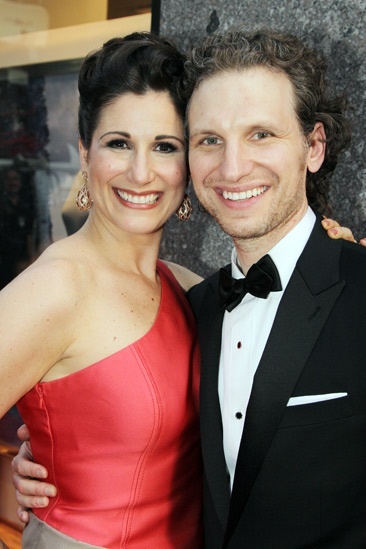 Block and Sebastian Arcelus pose cheek-to-cheek on the carpet. Block is wearing a Carolina Herrera gown and Wilfredo Rosado jewelry.